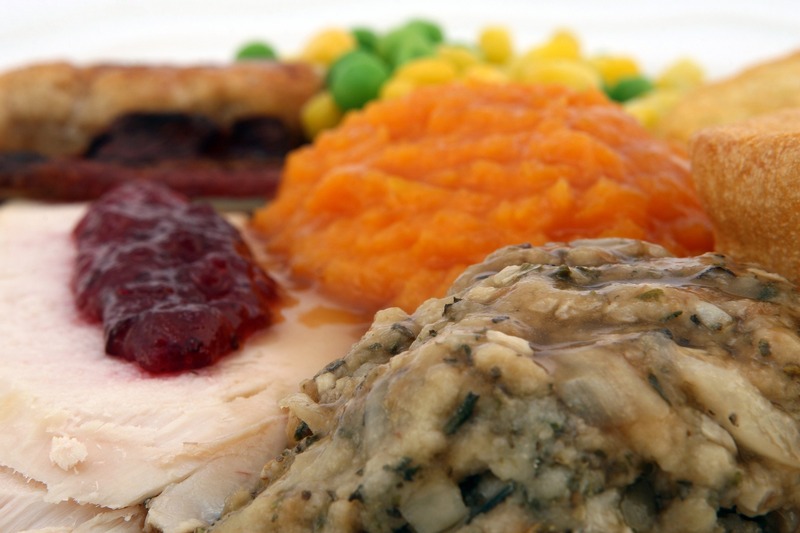 Are you stuck in a world of leftover Thanksgiving dishes like the rest of us? Well, good news! While you are working your way through your leftover turkey, beans, and cranberries, you can be sure you are getting some great nutrition that your oral health needs. The local dentist Novato patients regularly visit has a list of the wonderful, nutritious benefits that adorned your Thanksgiving table this year and includes it as part of your preventive dentistry treatments. With a little imagination you can use these foods throughout the year and reap the benefits of the flavors they have to offer. Oral health is more than just brushing your teeth, flossing, and visiting our Novato dentist office twice a year. It also includes a balanced diet rich in vitamins and minerals. Preventive dentistry works to prevent dental issues before they happen, and the foods we eat are a part of this process. Various minerals and vitamins provide great advantages for our health. Green beans, for instance are packed with vitamin C. Cranberries are also a wonderful source for vitamin C. This vitamin strengthens bones, improves our immunity, and reduces infections throughout our mouth and body. Green bean casserole may not be one hundred percent healthy with its creamed soup mixture, but you are still benefiting from the vitamin A that the beans offer our body. Beans are a great source of nutrition and a favorite among our Novato dentist staff. Vitamin A aids your digestive system and helps your body produce saliva. We use saliva to break down foods and to keep our mouth clean. Saliva is nature’s own mouthwash. Sweet potatoes are another great source of vitamin A, so for a healthy mouth, don’t leave these off your plate. Turkey may be known for making us a bit sleepy, but the protein that turkey gives us in a single serving keeps your teeth strong and very healthy. One of the greatest benefits to protein is that it helps our body think that we are full. 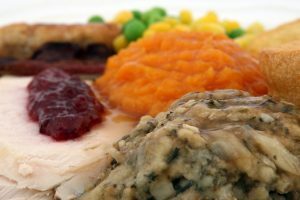 Rather than empty calories that disappear, turkey and similar proteins prevent us from overeating unhealthy foods. While your leftovers may differ from our Novato dentist teams’ refrigerators a bit, we’re pretty sure there is something in there that will benefit your oral health and smile. Check out our Facebook page if you are looking for more nutritional benefits to your oral health. We continually provide oral health updates so that we can offer you the best information for a great smile.